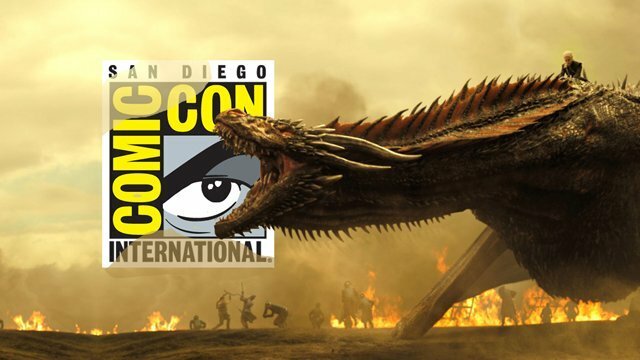 Once again, the cast and crew of HBO‘s Game of Thrones are taking the Hall H stage Comic-Con International. This year is a little different than most, however, as the series has just started airing its seventh season. For the first time, the panel will, theoretically, be able to discuss upcoming episode details. Follow along with our Game of Thrones live blog below for instant updates on whatever the panel has to offer. Based on the novel series A Song of Ice and Fire by George R.R. Martin, Game of Thrones is executive produced and written by David Benioff and D. B. Weiss. It tells an epic story of treachery and nobility, set on the continent of Westeros, where summers and winters can last years. Confirmed cast panelists this year include Alfie Allen (Theon Greyjoy), Jacob Anderson (Grey Worm), John Bradley (Samwell Tarly), Gwendoline Christie (Brienne of Tarth), Liam Cunningham (Davos Seaworth), Nathalie Emmanuel (Missandei), Conleth Hill (Varys), Sophie Turner (Sansa Stark), and Isaac Hempstead Wright (Bran Stark). The panel, which runs from 1:30 – 2:30 Pacific Time will be moderated by a special, yet-to-be-revealed Westerosian guest. In addition to Benioff and Weiss, executive producers of Game of Thrones season seven include Carolyn Strauss, Frank Doelger and Bernadette Caulfield. Co-executive producers include Guymon Casady, Vince Gerardis, George R.R. Martin and Bryan Cogman, with Chris Newman, Greg Spence and Lisa McAtackney serving as producers. What are you hoping gets revealed out of our Game of Thrones live blog? Who do you think the surprise moderator will end up being? Let us know your thoughts in the comments below!